The blood orange tree is an unusual addition to any landscape. Although it appears to be a regular citrus tree, when cut open its fruit is dark purple and red. It grows best in zones 9 to 11, and cannot tolerate very extreme winters or summers. 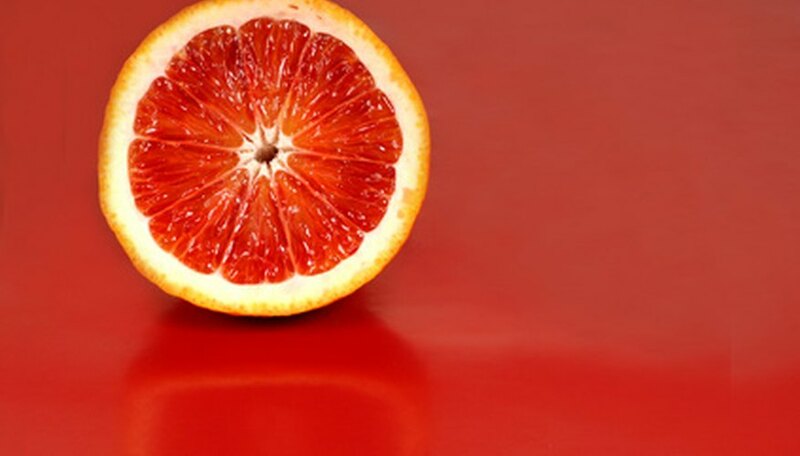 Certain aspects that makes the blood orange tree different from the regular orange tree is that it must be fertilized frequently, with properly prepared soil upon planting. Apart from this, the blood orange tree is not high-maintenance. Prepare the planting site properly for the blood orange tree. It is smartest to grow the tree from a transplant, as seeds will take more time, money and patience. Combine 5 cups of sand and 5 cups of loam into a 3-foot-square plot of ground or in a planter pot. The tree must be in full sun in its own territory. It cannot be within 15 feet of buildings, and make sure there are no power lines around. Fertilize the blood orange tree about four times a year (corresponding with the seasons) with a fruit tree fertilizer, found at your local nursery. Keep in mind that liquid fruit fertilizers will soak into the ground much easier than powdered ones. Layer pine needles around the base of the tree to make the soil more acidic if your pH is unbalanced. Prune the blood orange tree in the early spring season, as this is important to fruit production and maintaining the ideal oval tree shape. Prune back any dead or injured branches, and only cut other branches that compete for space or are overcrowding half way back. Never prune when there are blossoms or fruit. Transplant the tree into a larger pot (if applicable) to keep it healthy. Every two to three years, carefully slide the tree from its pot and prune away 1/3 of its roots. Then repot using a good quality potting soil to promote fresh root growth. If you choose to grow a blood orange tree where there are harsh winters, plant it in a pot so you can transport it indoors.